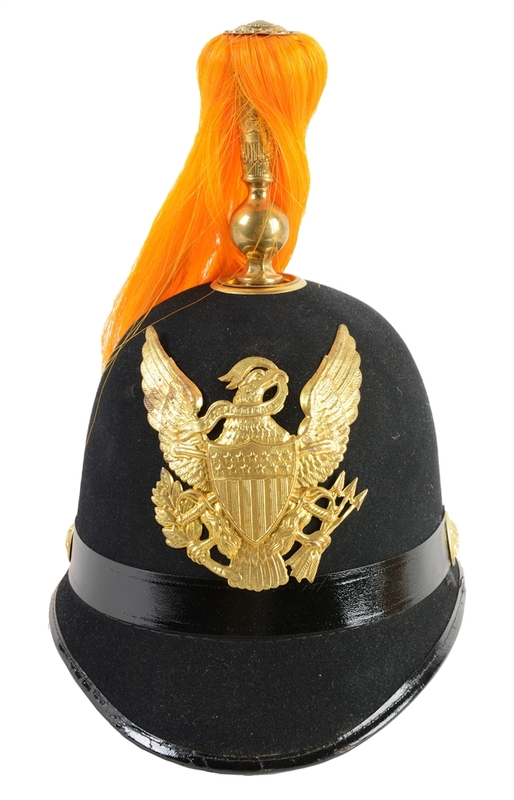 Lot #1: Exceptional Condition American Militia Officer's Bell Crown Shako, Circa 1830. 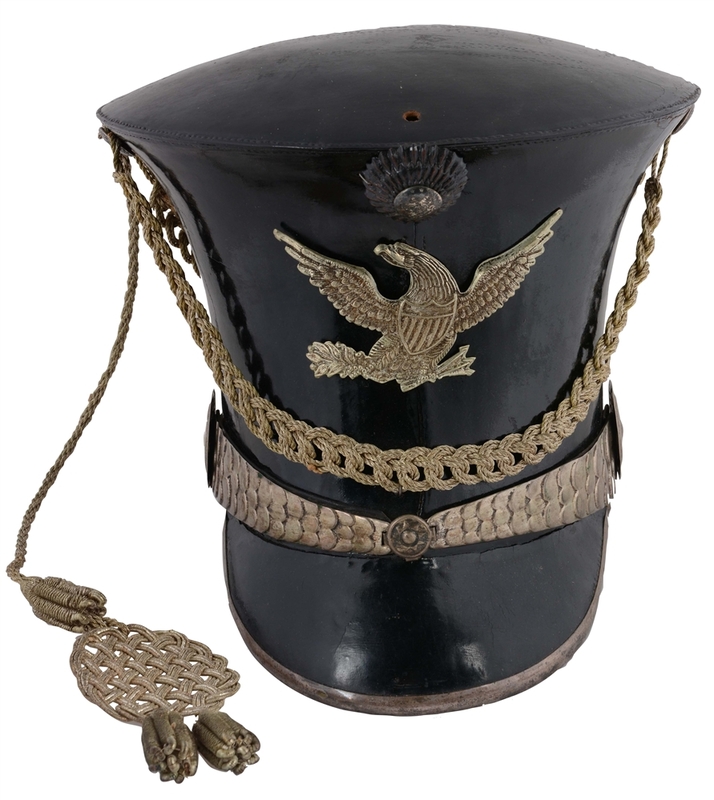 Lot #2: Lot Of 2: Indian Wars Period & 1902 Brigadier General's Caps. Lot #3: Lot Of 3: Indian Wars Period Officer's Kepis. 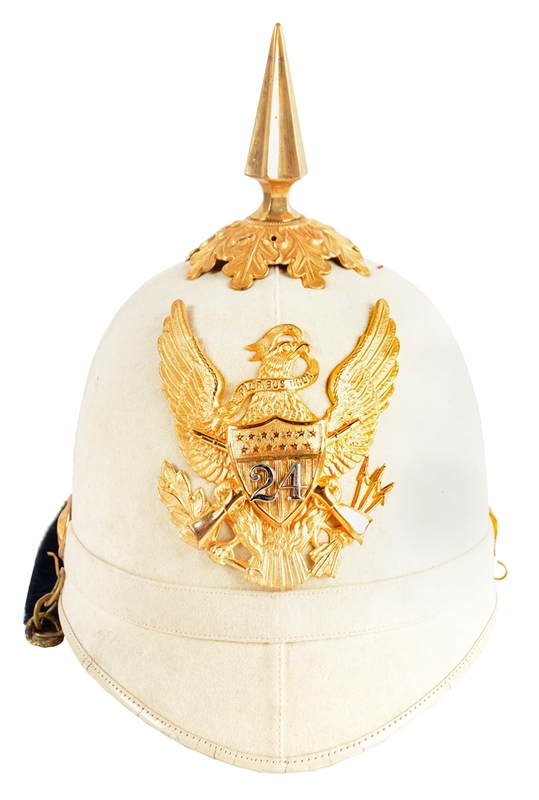 Lot #4: Cased U.S. Army Model 1881 24th Infantry Officer's White Summer Dress Helmet. Lot #5: Mint Boxed US Army Model 1881 Cavalry Enlisted Dress Helmet. 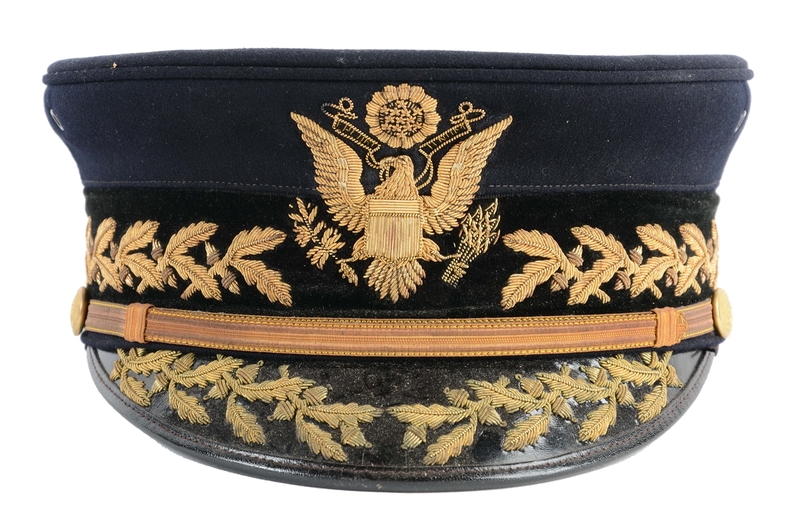 Lot #6: Boxed U.S. Army Model 1902 General's Full Dress Visor Cap. Lot #7: Lot of 4: U.S. Army Model 1889 & Officer's Campaign Hats. Lot #8: U.S. Army Model 1881 Officer's Dress Chapeau de Bras & Accessories. 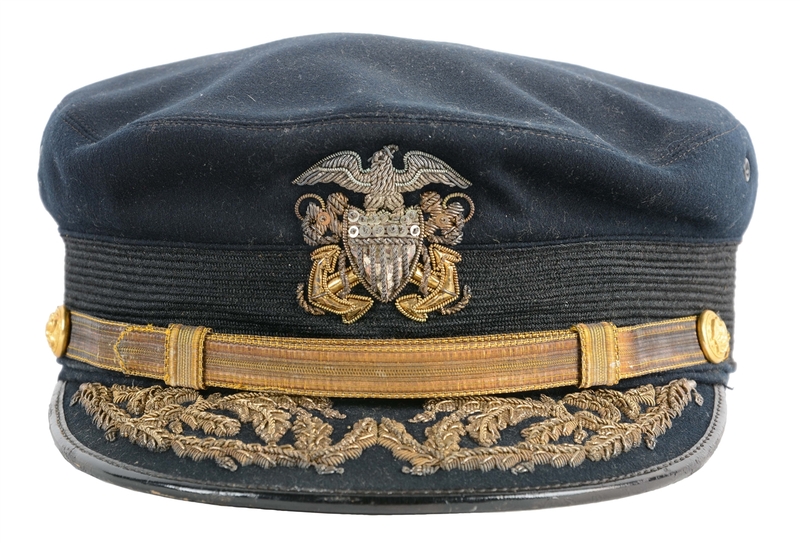 Lot #10: Identified Spanish-American War Period Rear Admiral's Visor Cap. Lot #11: Lot of 2: U.S. Model 1895 Officer's & Model 1902 Officer's Full Dress Caps. Lot #12: Lot Of 2: Model 1902 US Army Officer's Dress Caps. Lot #13: Lot Of 5: U.S. Model 1902 & Model 1912 Visor Caps. Lot #14: Lot Of 3: US Army Indian Wars - Spanish American War Caps. Lot #15: Lot Of 6: U.S. Army Officers Dress Caps. Lot #16: Lot of 3: US Shipping Board & Public Health Service Visor Caps. Lot #17: Large Lot Of WWI & WWII US Military Caps. 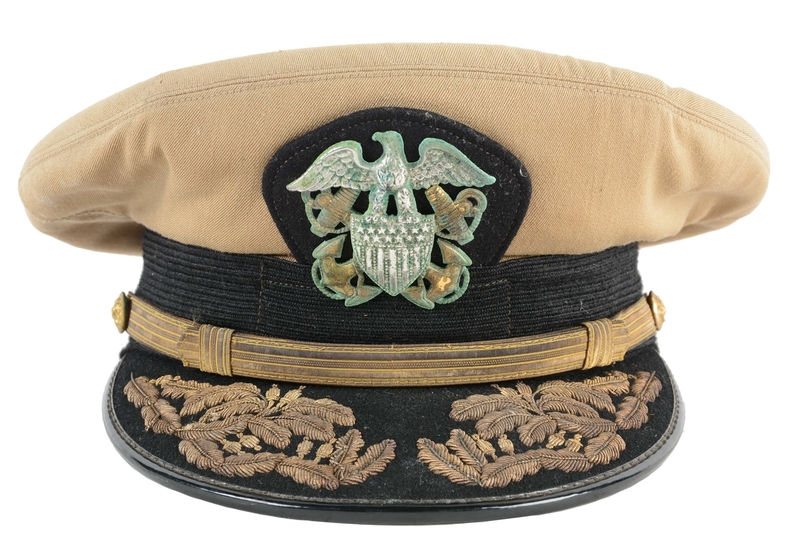 Lot #18: Lot Of 3: U.S. Model 1902 & Pre-WWII Army Officer's Full Dress Caps. 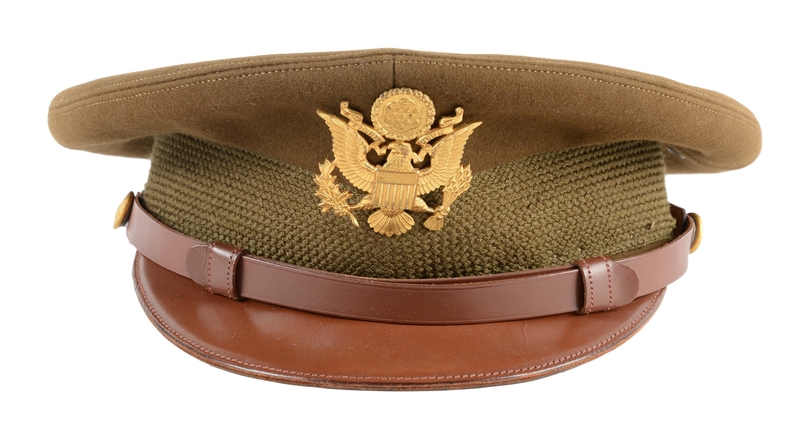 Lot #19: M1895 U.S. Army 24th Infantry Enlisted Forage Cap. 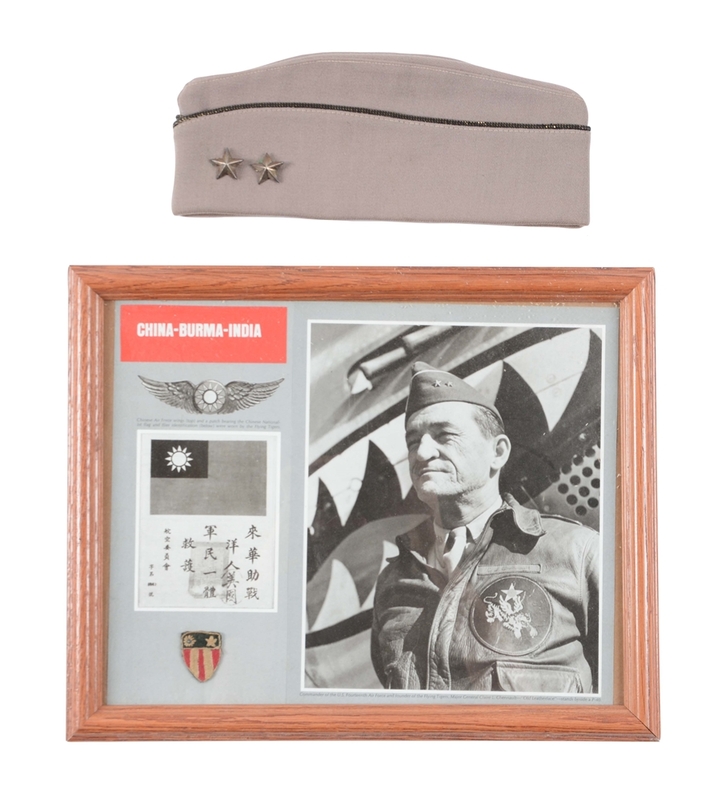 Lot #20: Lot Of 4: General James Doolittle's Visored Hat, Stetson & Vest With Pictures. Lot #21: A Navy Cap Worn By John Wayne In The Film "In Harm's Way." 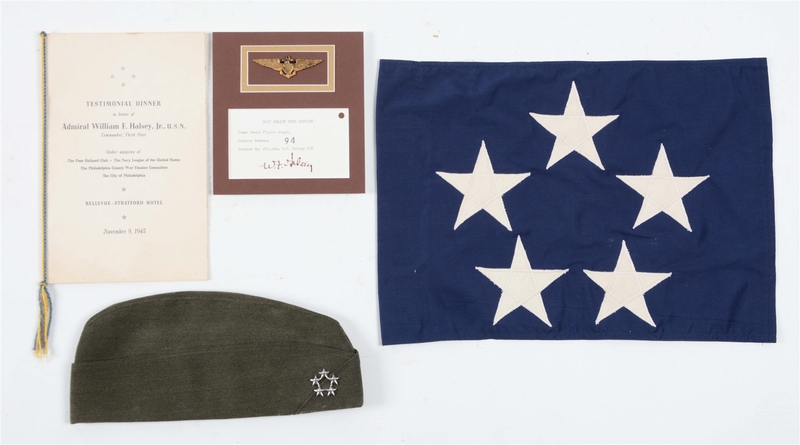 Lot #22: General Bradley's Visor Cap & Insignia with Signed Transmittal Note. 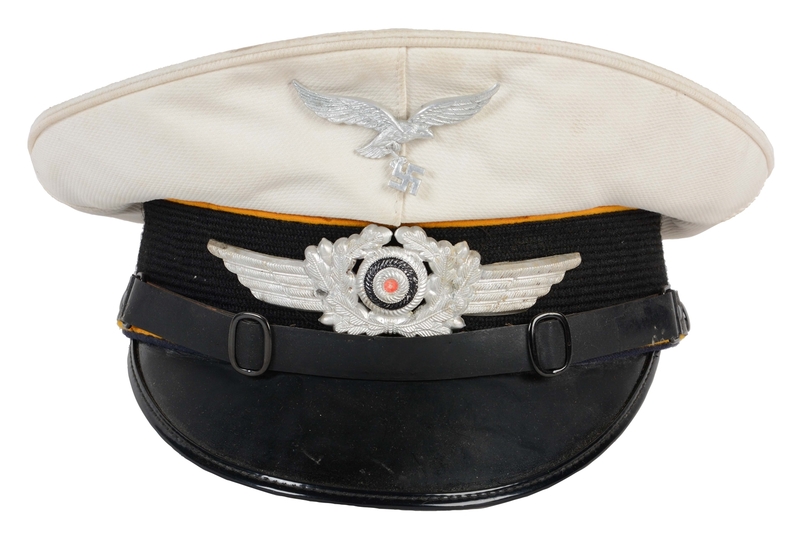 Lot #25: German WWII Luftwaffe Summer Visor for Flight/Paratrooper. 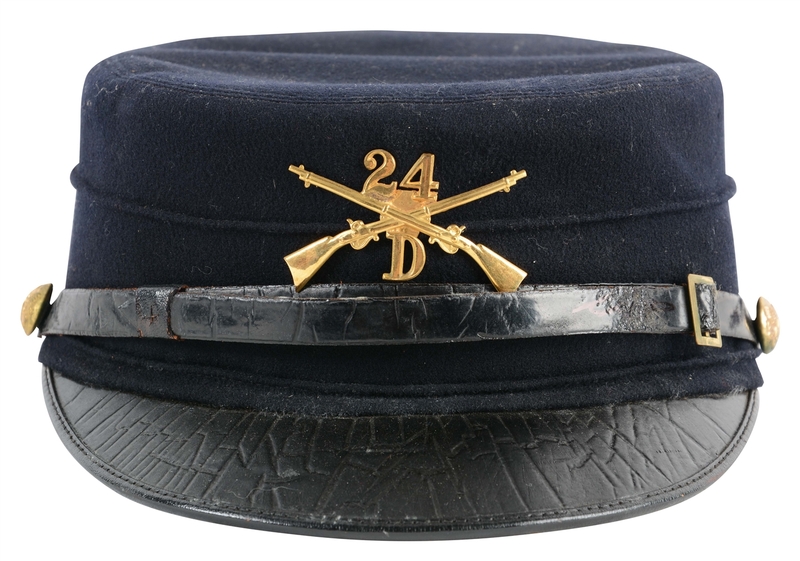 Lot #26: Lot Of 2: Garrison Cap Worn By General Claire Chennault. Lot #27: Lot Of 2: U.S. Navy Admiral's Caps Worn By Admiral Paul Pihl & Admiral Henry Eccles. Lot #28: Lot Of 5: US Navy Admiral's Caps. Lot #29: Lot of 7: WWII US Army Visor Caps. Lot #30: Lot Of 9: USN & USMC Visor Caps. Lot #31: Lot Of 4: US Army General Officer's Full Dress Visor Caps. Lot #32: Lot Of 7: WWII Period US Navy Commander & Captain Officers Caps. Lot #33: Lot of 7: US Army Officer's Field Grade Dress Visor Caps. 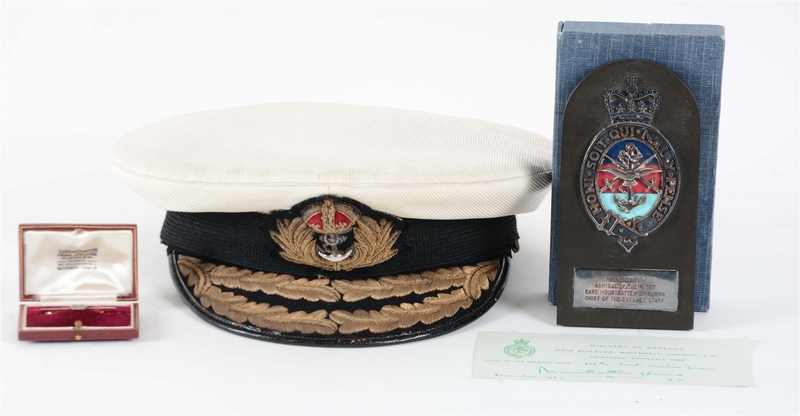 Lot #34: Lot Of 3: Items Relating To Lord Louis Mountbatten. Lot #35: Lot Of 10: Various Pieces Of British Military Headgear. Lot #36: Lot Of 4: British Generals Visor Caps. Lot #37: Lot of 3: British 16th Lancer Helmet, Highland Light Infantry Shako & Sun Helmet. Lot #38: Lot of 4: British R.F.C & R.A.F. Visor Caps. Lot #40: Lot of 3: British Army Bearskin Busby's. Lot #41: Lot Of 3: British General & Brigadier Caps. Lot #43: Lot Of 6: British Army Officer's & NCO Caps. Lot #44: Box Of Assorted Recent British & Police Military Hats & Accessories. Lot #45: Lot Of 4: Italian General's, Japanese & Rhodesian Caps. Lot #46: Lot Of 2: Mexican General's Visor Caps. 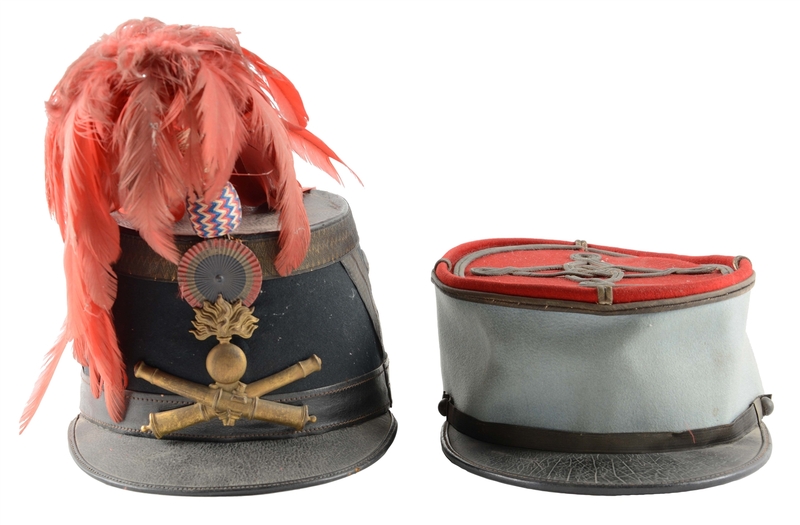 Lot #47: Lot of 2: French Model 1872 Artillery Officers Shako & Kepi. 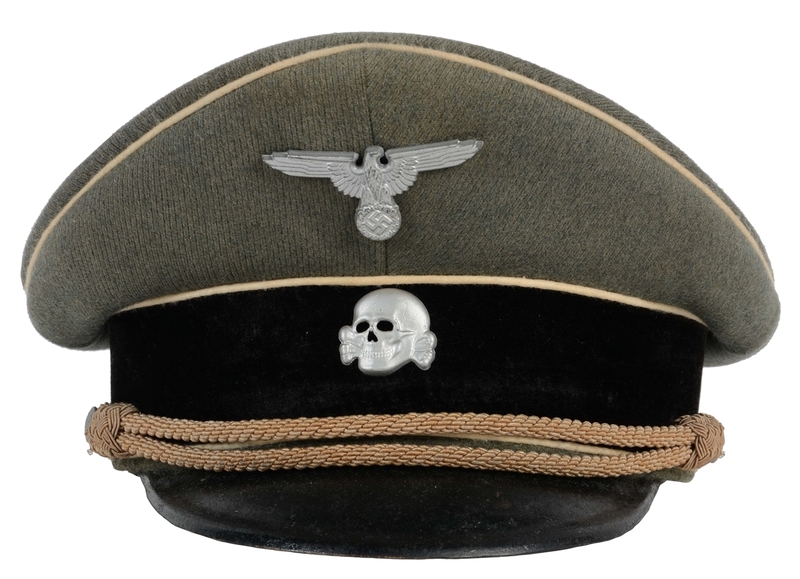 Lot #48: German WWII Waffen SS Officer's Cap - Kleiderkasse. 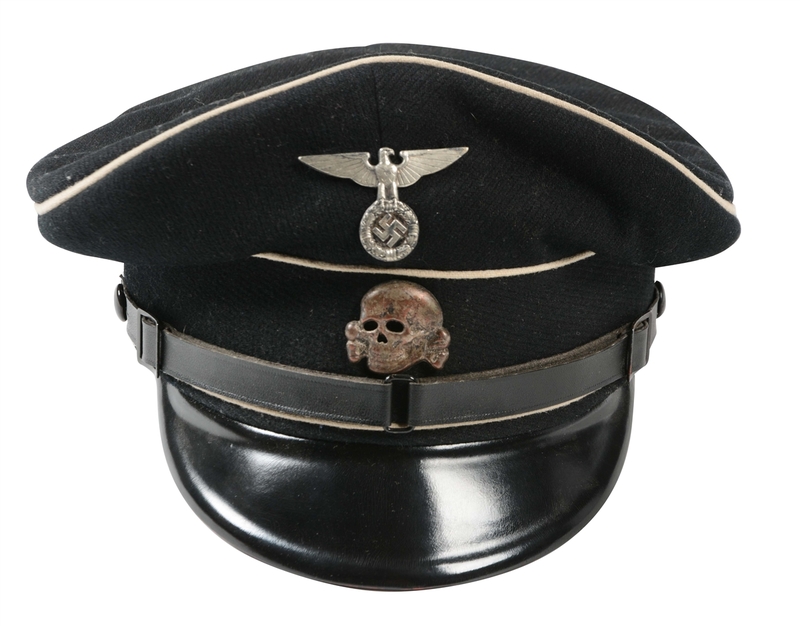 Lot #49: German Third Reich Allgemeine SS NCO Visor. 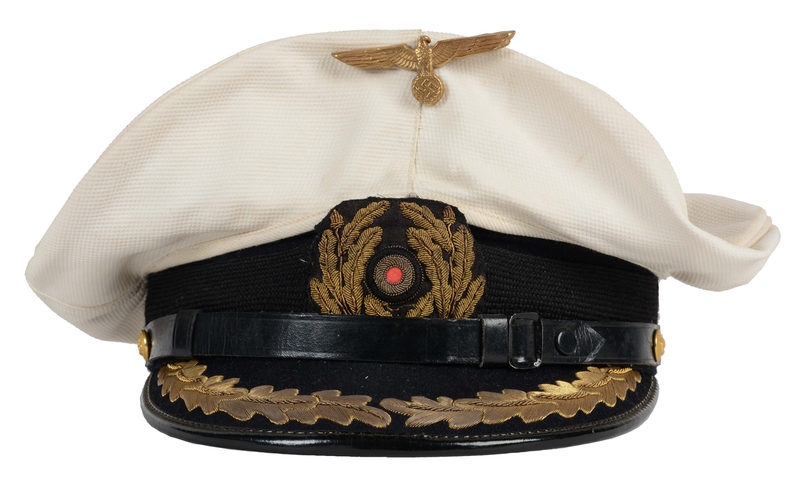 Lot #50: German WWII Kriegsmarine Officer's Removable White Top Visor Cap. 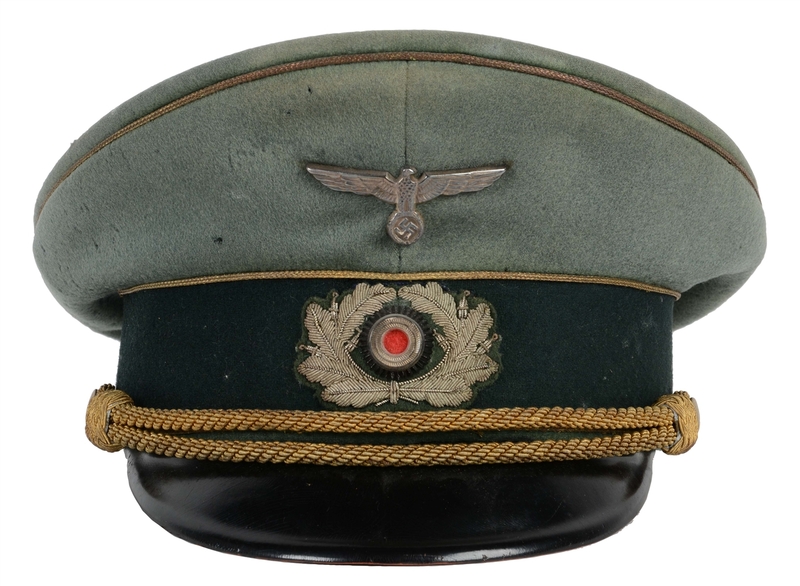 Lot #51: German WWII Heer General's Visor. 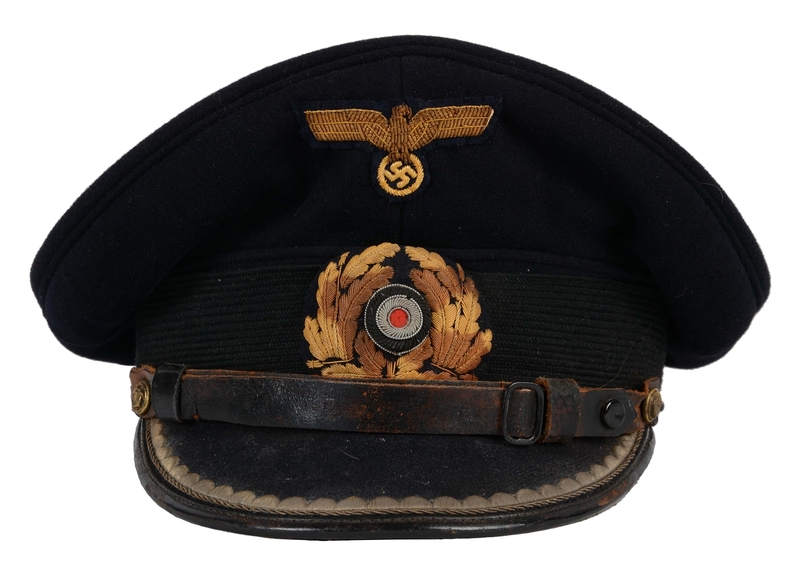 Lot #52: German WWII Kriegsmarine Officer's Visor Cap. 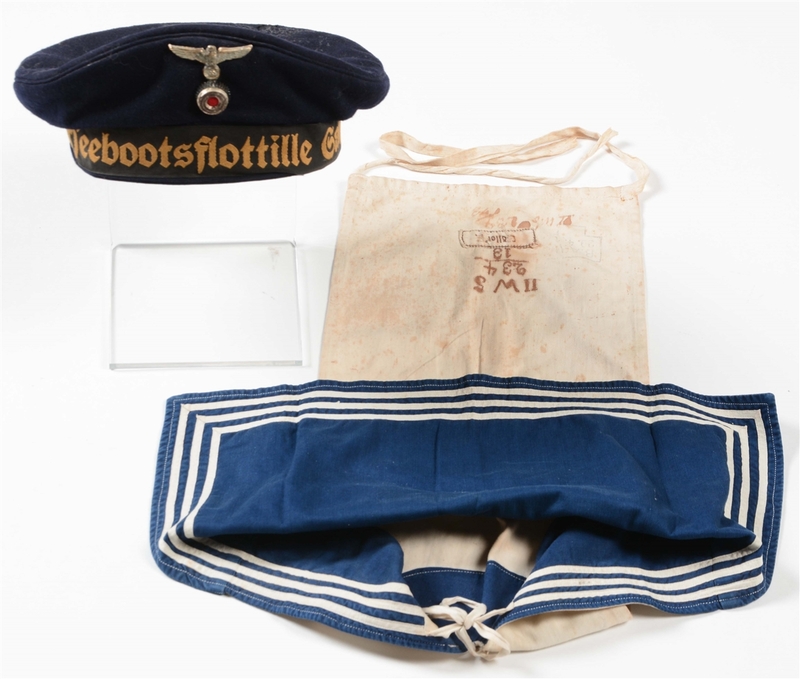 Lot #53: Lot of 2: German WWII Kriegsmarine Named Uboat Cap & Matching Collar. 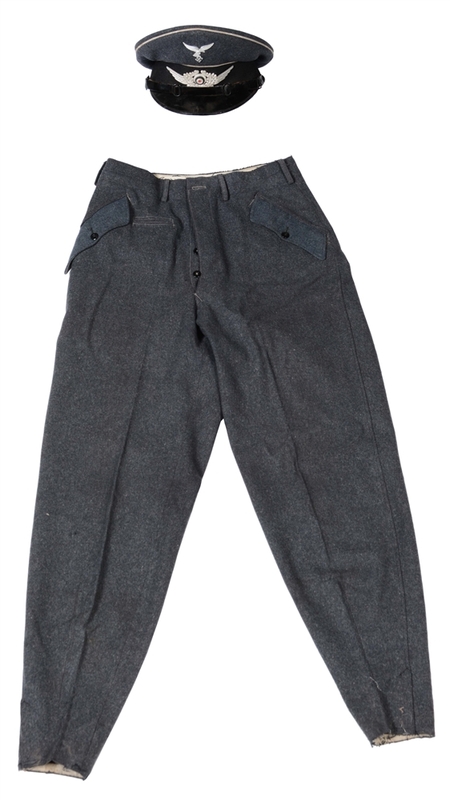 Lot #54: German WWII Luftwaffe "RGG" NCO Visor Cap & Trousers.